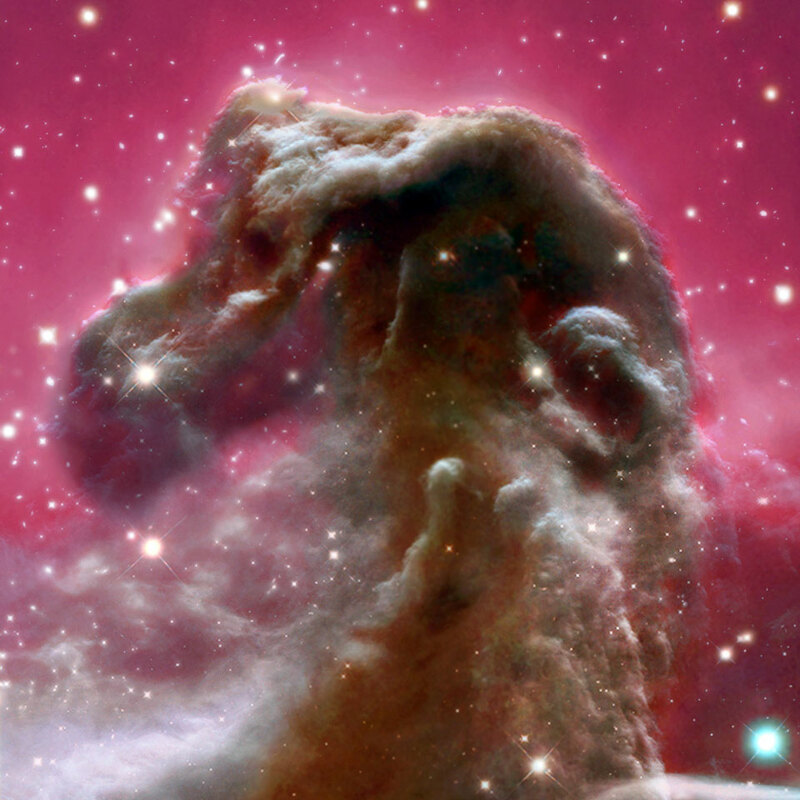 Explanation: One of the most identifiable nebulae in the sky, the Horsehead Nebula in Orion, is part of a large, dark, molecular cloud. Also known as Barnard 33, the unusual shape was first discovered on a photographic plate in the late 1800s. The red glow originates from hydrogen gas predominantly behind the nebula, ionized by the nearby bright star Sigma Orionis. The darkness of the Horsehead is caused mostly by thick dust, although the lower part of the Horsehead's neck casts a shadow to the left. Streams of gas leaving the nebula are funneled by a strong magnetic field. Bright spots in the Horsehead Nebula's base are young stars just in the process of forming. 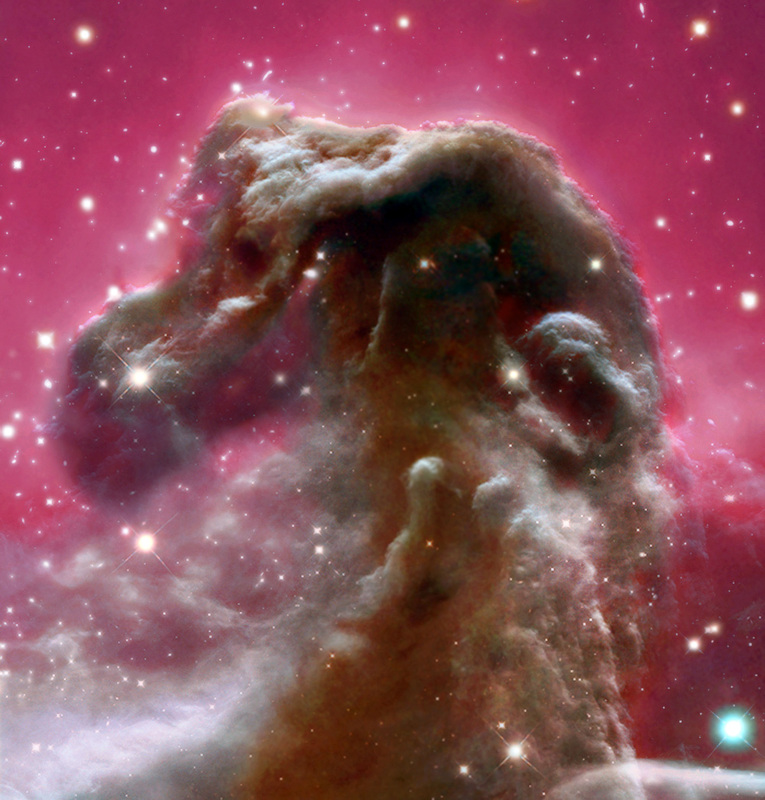 Light takes about 1,500 years to reach us from the Horsehead Nebula. The above image is a digital combination of images taken in blue, green, red, and hydrogen-alpha light from the Argentina, and an image taken in infrared light by the orbiting Hubble Space Telescope.